Peter has worked in the specialist panel beating industry for nearly forty years. He specialises in classic, vintage, veteran, and prestige vehicles. His focus is to restore vehicles that are motoring icons to original condition for enthusiasts. Peter migrated from Spinea in Northern Italy to Australia when he was sixteen years of age. He then started his five-year apprenticeship, with Leo Squires Motor Body Repairs in Dandenong, and completed his training at the Noble Park Technical School. Over this period of time he also learnt to speak English. 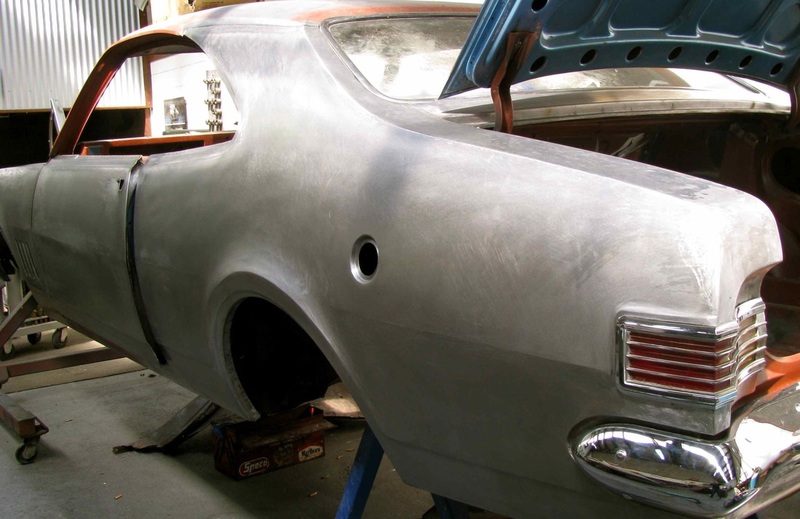 His passion has always been cars, specialising in bodywork restoration. During his panel beating apprenticeship, he had an opportunity to learn about panel restoration and to use a wheeling machine, but on completing his apprenticeship he was unable to find a job in that specific field. In order to develop his skills, he sought out a range of different specialist craftsmen who shared their knowledge gained over many years. 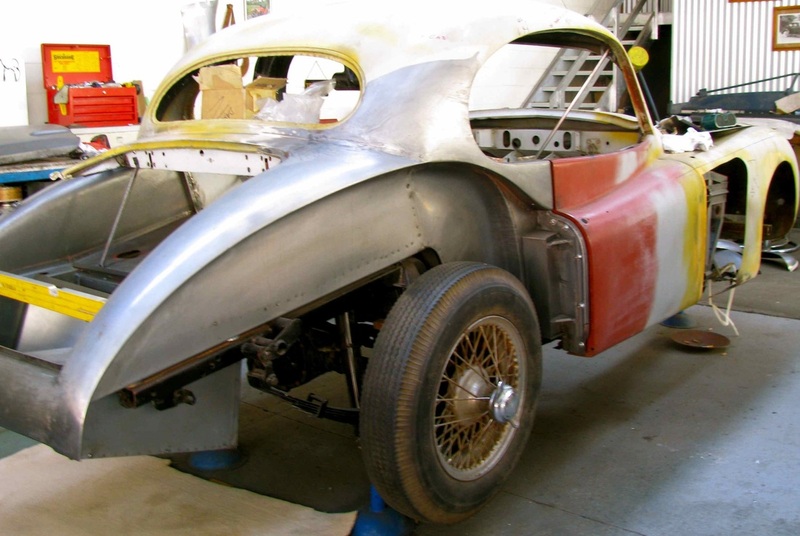 Over the last thirty to forty years, the business has specialised in the restoration and panel fabrication of classic, vintage, and prestige vehicles. 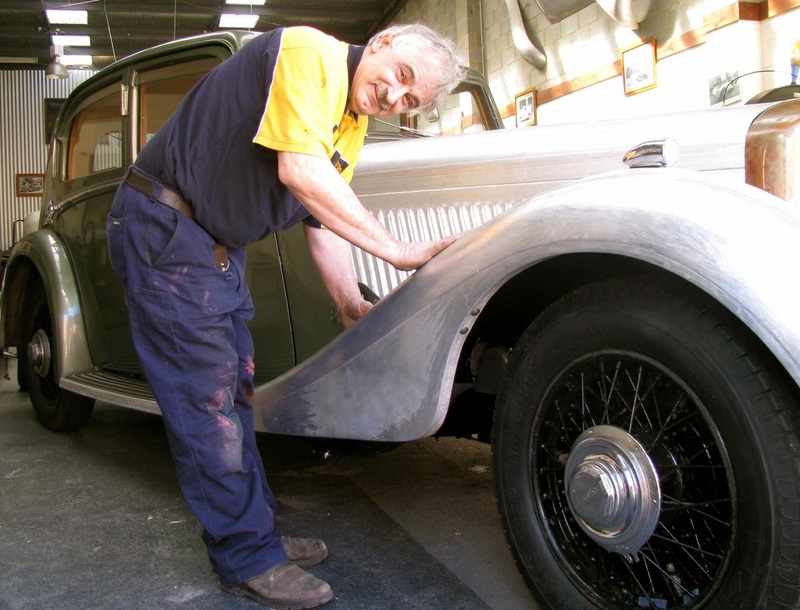 Peter has been working at his own Bayswater workshop for nearly twenty years. The key to his success in this specialist industry is an ability to work with shapes, sketch drawings, visualise the final product, and execute it to the highest professional level. All of the work is done by hand with the use of specialist tools to shape the final panel. Attention to detail, steady hands, patience, and a very sharp eye are critical to the success of the project. The “Handbuilt” Wheeling Machine is based on the design of the English Wheel, and Peter has been using it for nearly thirty years. This machine is used for the finishing and shaping of most car panels. It has been modified to provide more precision and versatility and is capable of making tighter curves. They are built in Australia and are designed to suit most panels. Note: The Pneumatic Planishing Hammer can also be converted into a Wheeling Machine in eight minutes. This equipment is manufactured to Peter’s specifications. These are the tools that Peter sells to clients in Europe, New Zealand and around Australia. Some tools have been resurrected from designs that have faded away over many years as times have changed with new technologies. These tools were used in the days when men were building cars by hand and were real hands-on craftsmen. Peter also gives night classes and teaches advanced techniques in panel fabrication. Students learn an advanced level of skill such as complicated return shapes, bulbous shapes, oxy welding, panel beating, and rust repairs. Classes are held every first and last Wednesday night of the month, and come in two month packages which contain four lessons in total. Classes are run from 7 pm to 10:30 pm. Equipment, materials, and snacks are supplied. Each session has a maximum of three people. Seminars will demonstrate the skills that Peter has achieved over many years and includes metal shrinking, (cold and hot) stretching, blocking, plenishing and wheeling, and welding of aluminium and steel. Apprenticeship: Five year apprenticeship and has specialised in restoring classic vehicles. Expertise in other areas: Repaired the large clock at Melbourne Central in Bourke Street, previously known as Daimaru. Can work with aluminium, steel, and brass and will go on site for a client if required. Specialist Consultant to Clients: Will travel nationally to give a professional opinion, advice, and costs involved in restoring a vehicle to a professional standard. Recent completed projects: 1968 Bathurst Monaro, 1956 Jaguar XK140 and 1936 Bentley Derby. Completed projects: Many vehicles from around the world, with values of up to one million. Clients include or under contract: Peter Brock, Jack Brabham, Peter Bartels and Lindsay Fox. Family: Married to Sandra and has two children. Interests: Soccer club, Juventus & the AFL, Collingwood. Address: Factory 9 / 21 Burgess Road Bayswater North. Peter has also appeared on a TV show on Channel 31 called Gasolene demonstrating his knowledge in restoring classic vehicles.